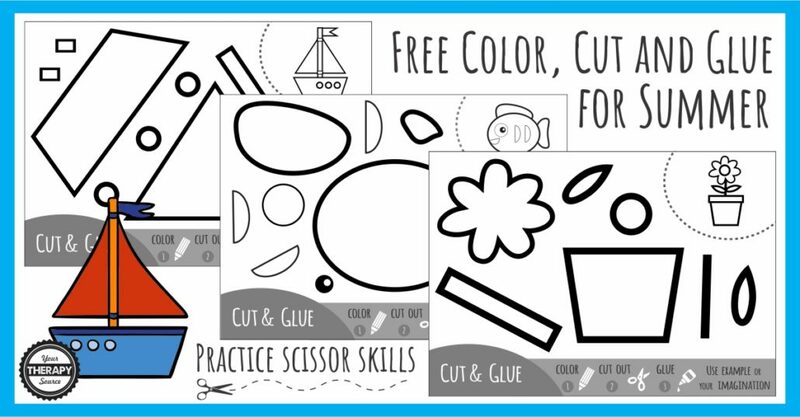 Here is another fun freebie for summer time – Color, Cut, Glue Summer Scissor Practice. Everyone loved the Spring time scissor activity so why not create a Summer time scissor activity. You can download your FREE copy at the bottom of the blog post. All you have to do it print the three pages or choose either sailboat, fish or flower pot to print. Color the black and white pages. Cut out the different shapes. Assemble and glue the shapes onto another piece of paper to create your Summer picture. This is an excellent activity to practice scissor skills, coloring and visual spatial skills when you assemble the picture. If you need more information on the development of scissor skills, check out The Scissor Skills Book. 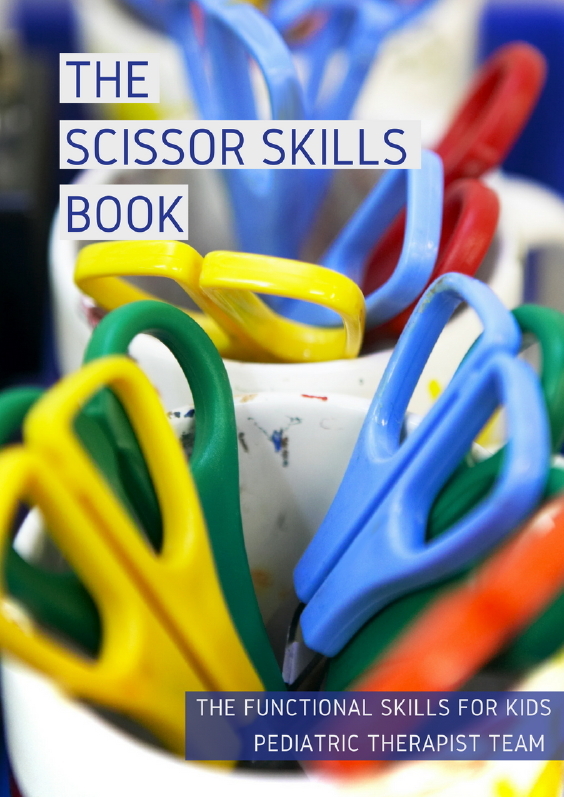 This digital download is a huge resource for anyone who works on scissor skills with children. Written by the Functional Skills for Kids (FSFK) team of 10 pediatric physical and occupational therapists with years of experience in the field, The Scissor Skills Book is the ultimate resource for tips, strategies, suggestions, and information to support scissor skill development in children. Find out more information on the Scissor Skills Book. Illustrations created by Ksenyasavva and used under Shutterstock license.